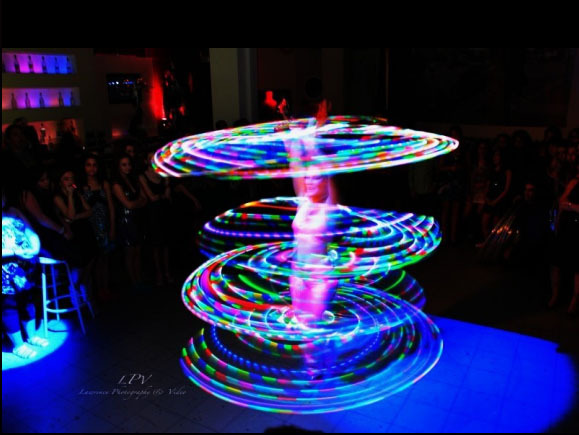 Anna J. is a Hula Hoop performer from Long Island, New York. She was born in Russia in 1974 to a famous circus family (Russian: Анна Джак). 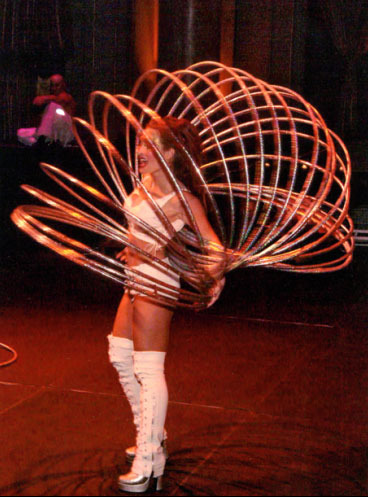 A current regular on CBS' "Late Night With David Letterman", Anna spent four years working in the Moscow Circus School before immigrating to the United States. 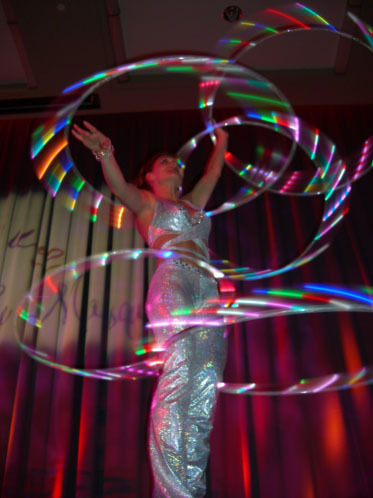 Considered one of the best hoola hoop artists in the world, Anna has performed with the Big Apple Circus, The Moscow Circus, and has been on Broadway in "Circus Diva" and in the musical "Barnum". 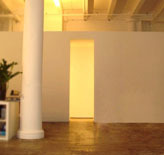 Anna J. has appeared on television shows including "E! Entertainment" and "Late Night With Conan O'Brien", and at a number parties and trade shows for various companies including Microsoft, McDonald's, Oldsmoblie, George Lucas, and Chrysler. She can also be seen in a national ad campaign for SONY, performer with Antigravity Circus, based in New York. 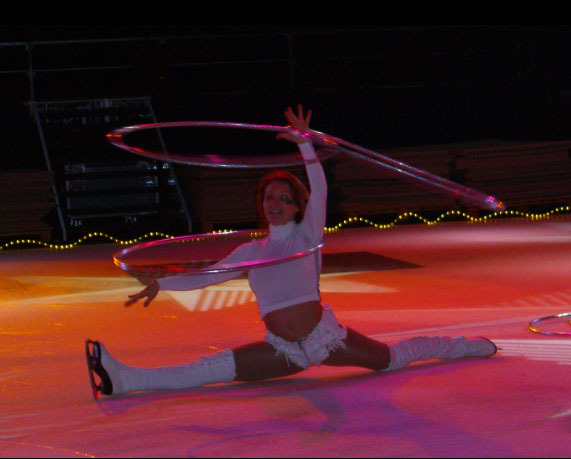 Aside from the hoola hoops, Anna is well-versed in bungee dancing, hand balancing, aerial acts, and performs with trained dogs. 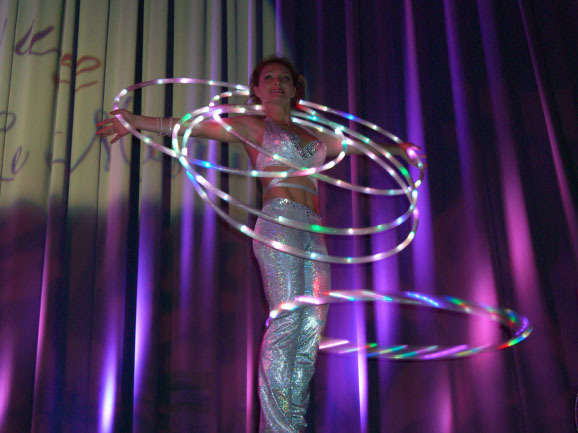 Her daughter, Daniella is also an award-winning hoop artist. Anna currently lives with her family in Long Island, New York.